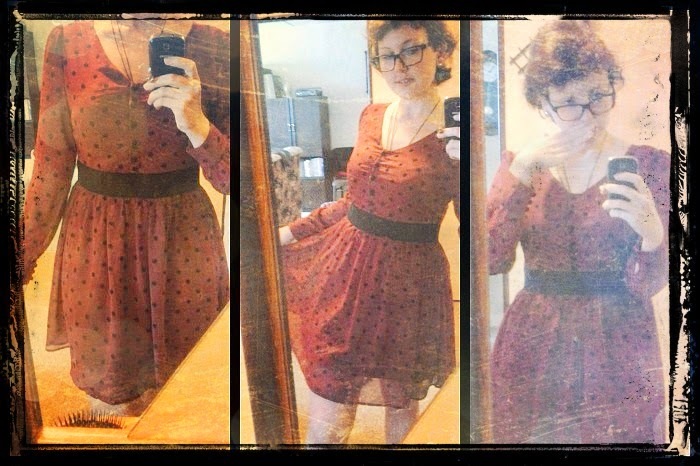 Waaa~~ I've got new second-hand dress~ It arrived with post today. Oh my god! I am so happy ^.^ I can use them for a dolly model or plain, casual dolly. So I can wear them at the University and so on. Waa~ I just wanna find any nice leggings or stockings. So.... we are talking about second-hand clothes? I've made few inspirational yama, natural, mori and dolly pictures from the internet second hand shop. There are plently of things. So I made it only from sweaters and from jackets and few blouses. I also realized If you wanna some nice price, you have to search these clothes as an 'old' not an 'antique'. Because if someone write about dress that it is antique, he or she want to get more money from it - profit.